One week from today I will embark upon the journey of a lifetime—backpacking the Appalachian Trail. This crazy adventure will begin at Amicalola State Park in northern Georgia. Here I will register my hike with the Appalachian Trail Conservancy, receive an AT thru-hiker tag to hang on my pack, and have my picture taken in front of the iconic stone arch to commemorate the start of my trek. An 8.8-mile approach trail climbs from the park’s visitor center to the top of Springer Mountain, where the AT officially begins. From here I’ll head roughly north and east, climbing up and down mountains on a footpath that spans approximately 2,200 miles from Georgia to Maine. My overall plan is pretty simple: just start hiking. I will wake up, eat, hit the trail, hike all day, and hopefully be tired enough to sleep like a baby each night. Oh, and I will also poop in holes I dig in the woods, drink from streams, and go long stretches of time without bathing or washing my clothes. And I cannot wait to get started! I have been able to complete several practice hikes this past month, although none have been big miles. Here in central Illinois, the March weather has been pretty dismal. There have been very few warm, sunny days —and not many cold, sunny ones either. This past month has been a collection of dull gray skies, dirty patches of snow, steady wind, and seemingly endless rain. The upside? An excellent opportunity to practice hiking in inclement weather. 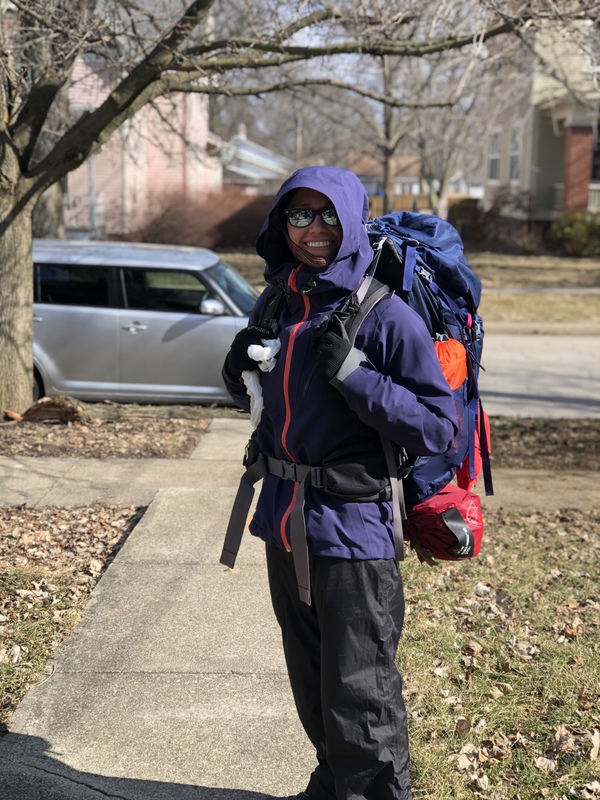 Although the fickle spring weather hasn’t really inspired me to hit the trails, with the start of my trek quickly approaching I haven’t been able to wait around for only good-weather days. My pack, clothing, and gear had to be put to the test, rain or shine. So I have been tromping around my hometown streets and local trails with a full pack and a big smile on my face, eager to make this lifelong dream a reality. A successful test of my cold weather getup. Luckily for all of us aspiring long-distance hikers out there, the internet abounds with information on planning a hike of the AT. One hot topic of discussion is base weight. 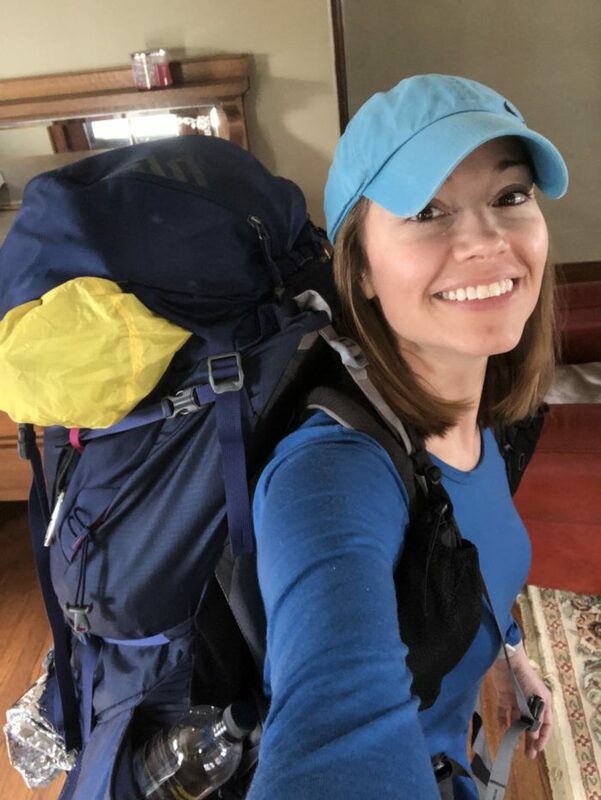 In hiking terms, base weight refers to the weight a hiker is carrying with them before accounting for consumables such as food and water, which can vary from hike to hike. Collective wisdom says the lower you can get your base weight, the better off you’ll be because there will be less wear and tear on the joints. To that end, I have reduced the load I’ll be carrying day-to-day from a base weight of almost 30 pounds to something much closer to 20 pounds. This puts me far above the ultralight category. I have loaded and unloaded my pack at least ten times in the past two weeks. Every time I do this I feel more comfortable with the process and increasingly confident in my gear. Each dry run has resulted in an item or two getting culled from the final gear list. I have been keeping in mind the motto that every ounce counts, so if it’s not truly a necessity I won’t be bringing it with me. Save for a couple of so-called luxury items (pen and notebook, headphones, umbrella), it’s essentials only now. In an effect to pare down my load, some of the things I have deemed unnecessary may surprise you. 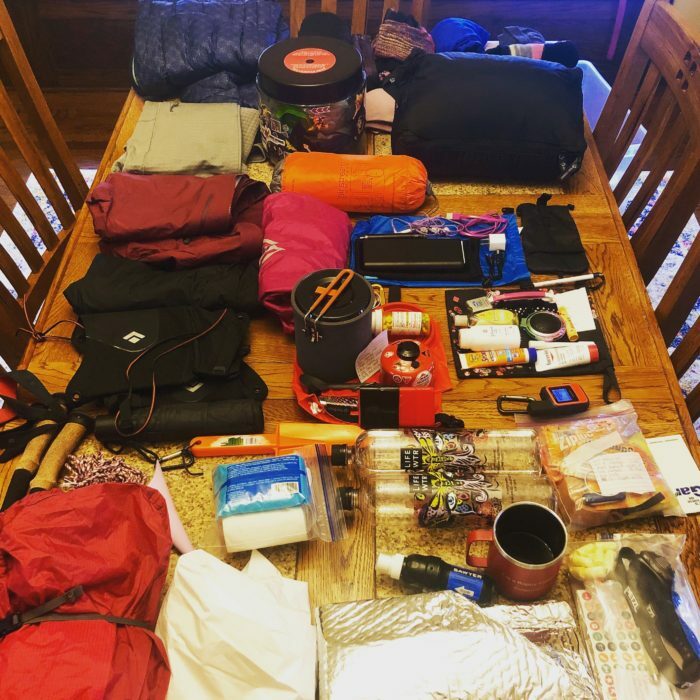 Items I normally take when car camping that didn’t make the cut: toothpaste (just brush/floss without it), extra clothes (wear the same thing every day), book to read (read books and listen to music and podcasts using my phone). The most recent items to face the chopping block were my travel-size deodorant (no way to prevent BO after weeks on trail, so why bother with it) and disposable razor (shaving legs is overrated). I’ve also decided to forgo an inflatable travel pillow and instead use my puffy jacket to soften where I lay my weary head each evening. When I put on my fully loaded pack now, it’s noticeably lighter. Less weight = more comfort. I’ve become enamored with the idea of living off of only what I can carry on my back. I find myself intrigued by the idea that less may really be more. Carrying my house on my back, so to speak, should be a real test of these minimalist notions. So here I am, about to start trail life and live like a turtle. 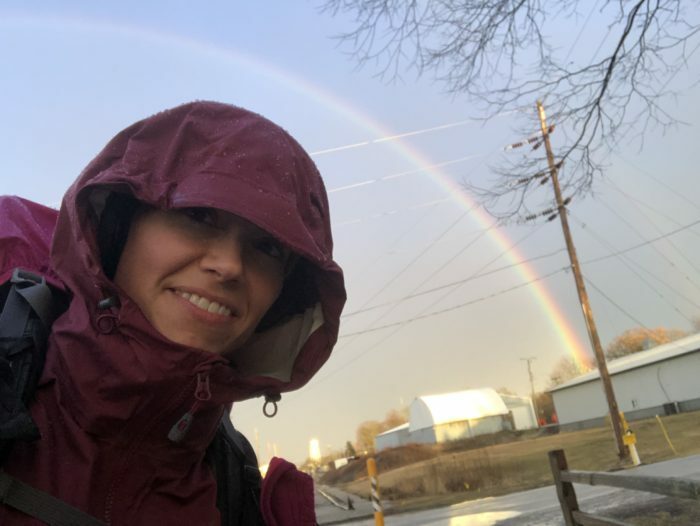 I’m leaving you with this rainbow—a visual symbol of the optimism and positivity I will be packing along with me on my AT hike. I invite you to join with me on this adventure. Experience the AT vicariously as I tell you stories from the trail. I promise to enjoy myself, and hope to provide you insight and enjoyment by sharing my experiences with you as well…the good, the bad, the ugly, the beautiful, and all points in between. I will document them all right here, so be sure to follow along. I am also an Illinois native who longs for the mountain trails. I am eager to hear about your adventures on the AT and wish you lots of luck, and good weather! Happy trails!! I was born and raised in Peoria IL. My hikes were always thru IL cornfields. This is awesome Steph, looking foward to following your progress! Looking forward to keeping up with a home town gal on the AT! Happy trails! I’m all in! Following! Be safe!